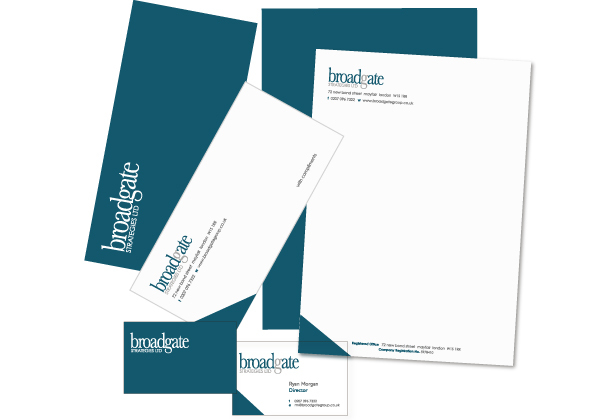 Broadgate Strategies Limited specialise in introducing clients to sophisticated tax solutions and off market creative investment opportunities. The nature of their business is to ‘bring people together’ by providing a professional introductory service to mid and high net worth individuals, and the corporate market. As such their corporate identity needed to enagage with their target audience. Given the importance of colour psychology in any corporate identity it was importane to introduce the colour blue as blue produces emotions of calmness, serenity, security and order.